It is magical. You stand in a small oak grove where butterflies flutter freely through the branches over your head. Dozens of them wheel around you. 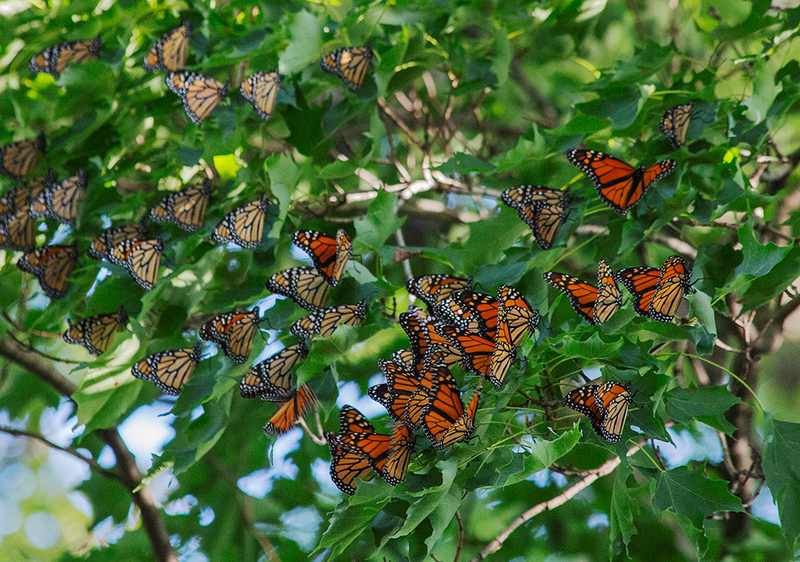 In growing clusters, they land on outstretched tree limbs. If you stand still long enough one—or more—may land on you, too. No, this isn’t inside the butterfly exhibit at the Milwaukee Public Museum. As delightful as that can be, this is far more amazing. You see, these are wild butterflies in the wild—and they are here only briefly, in transit on their 2,500-mile journey to Mexico. 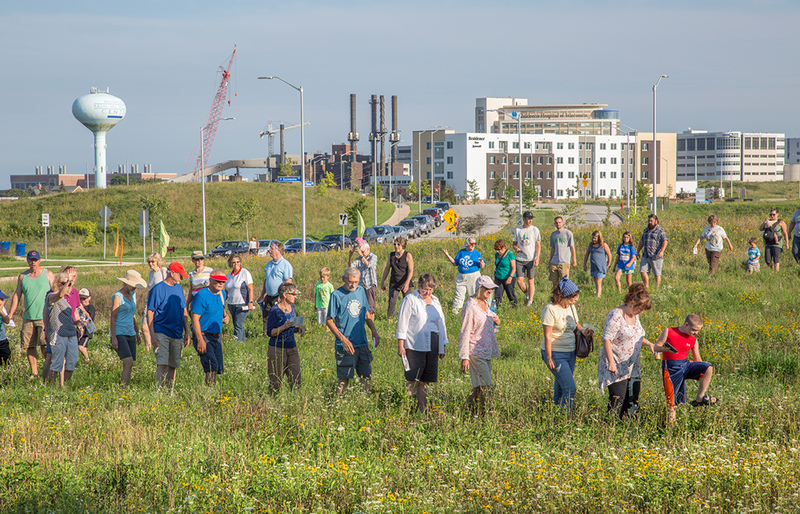 Places where you can experience this miraculous annual migration are few but this one is in the heart of the Milwaukee metropolitan region. 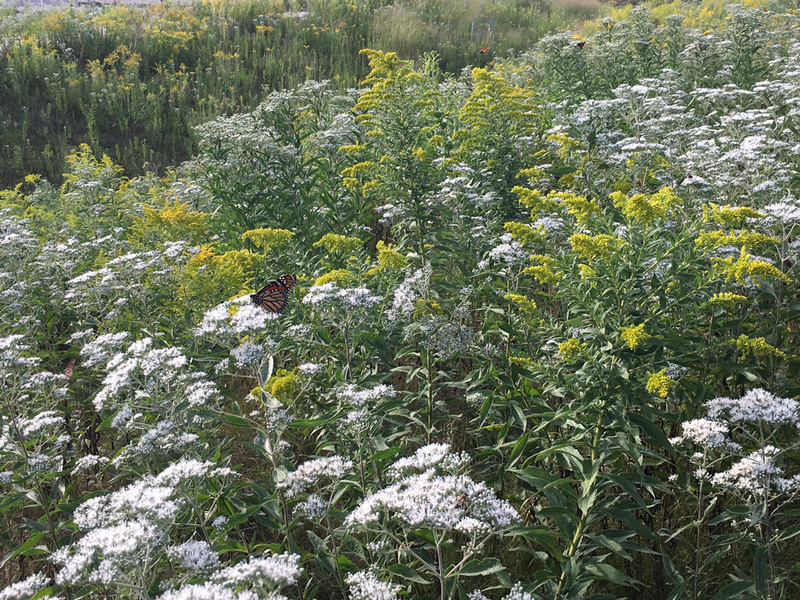 Welcome to the Monarch Trail, which is located on the County Grounds in Wauwatosa. The story gets even more remarkable when you learn more about the place and its history—and how close we came to losing this phenomenon forever. The oak grove where this is taking place is wedged between a recently completed three-story apartment complex and I-41, one of the busiest stretches of freeway in Wisconsin. The Monarch Trail wraps around the outside of the Echelon Apartment complex in a large U-shape. 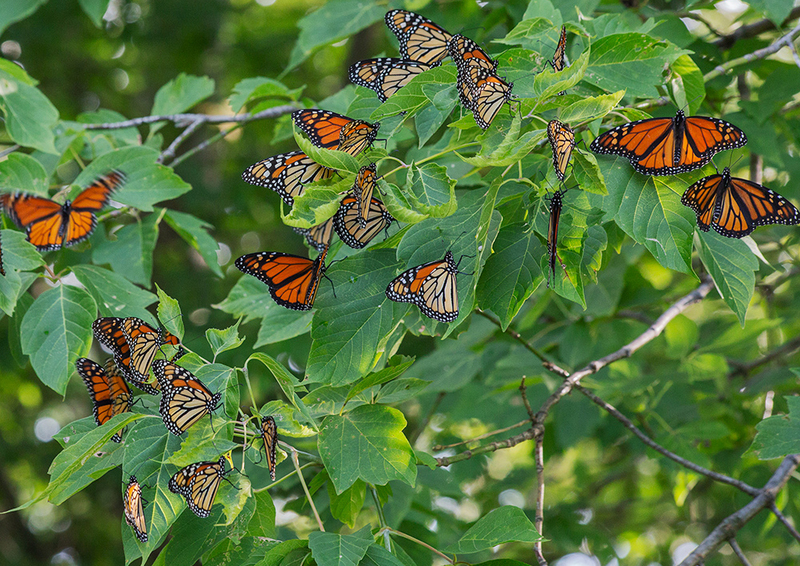 It was conceived over 13 years ago when a group of dedicated butterfly watchers (if that is the appropriate term) observed the transformation that was underway on the County Grounds and the potential threat it posed to one of the premier roosting sites for migrating monarchs. 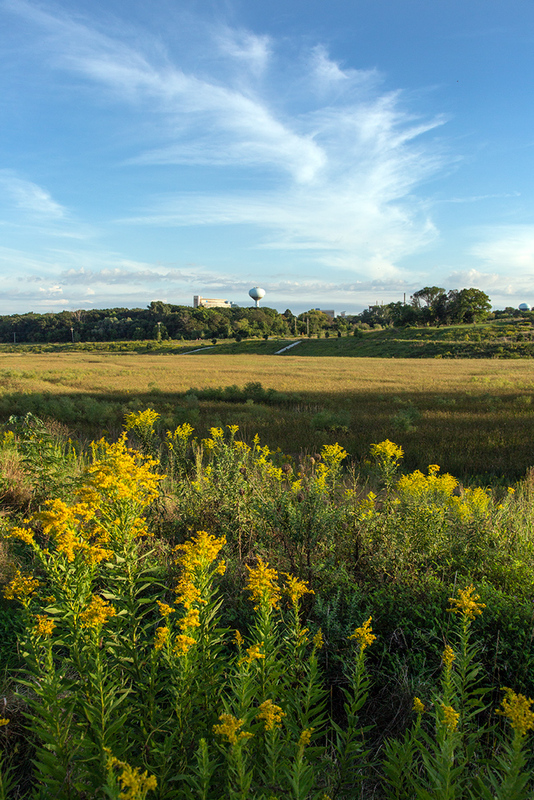 The Milwaukee Metropolitan Sewerage District was in the midst of the 90-acre excavation that was to become flood control detention basins. The earth excavated from the basins was being used to recontour the upland prairie now known as County Grounds Park. All of this disturbance in the landscape was having a deleterious effect on the monarch populations, which declined year after year. The development of the apartments around what had been the historic Eschweiler building campus could have been a death knell. 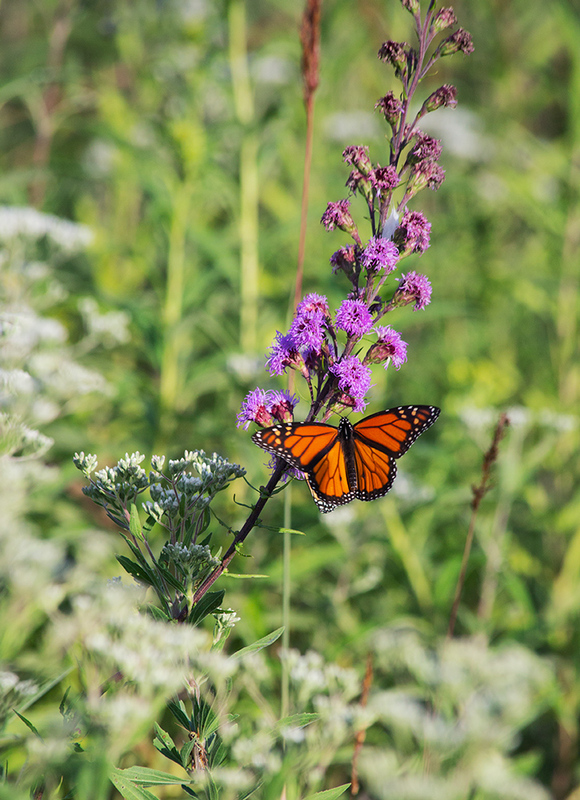 The Friends of the Monarch Trail was formed in order to protect as much as possible of the habitat needed by the butterflies. 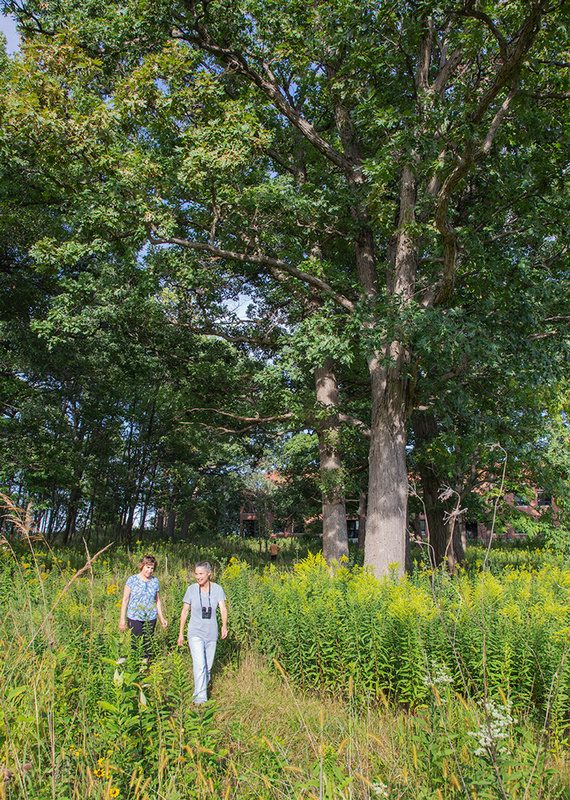 Their influence paved the way for the establishment of an 11-acre protected butterfly habitat zone within the UWM Real Estate Foundation’s Innovation Campus and construction of the apartments was constrained and carefully monitored. 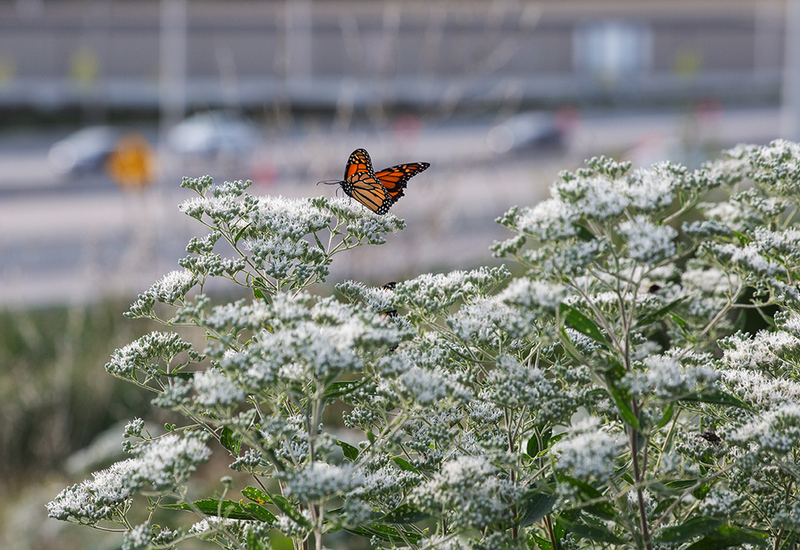 An additional 12 acres along the edge of I-41, which is owned by the Department of Transportation, also has been undergoing restoration by the Friends of the Monarch Trail. 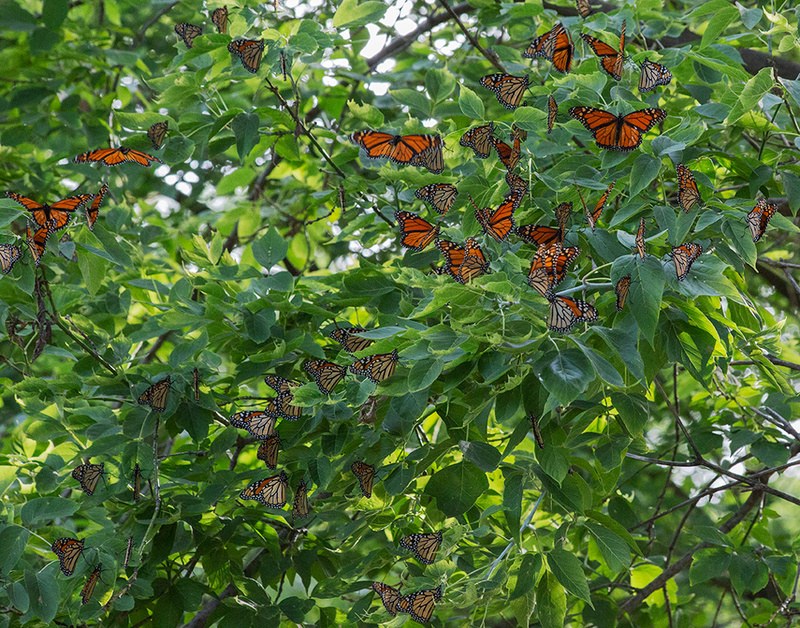 Sustainable populations of wildlife like the monarchs require more than a small, isolated refuge. The diversity of habitat areas provided within the whole of the County Grounds is considered an important factor in the effort to preserve butterflies, as well as other wildlife species. Disappointingly, the number of butterflies stopping to roost at this site continued to drop despite all of this. 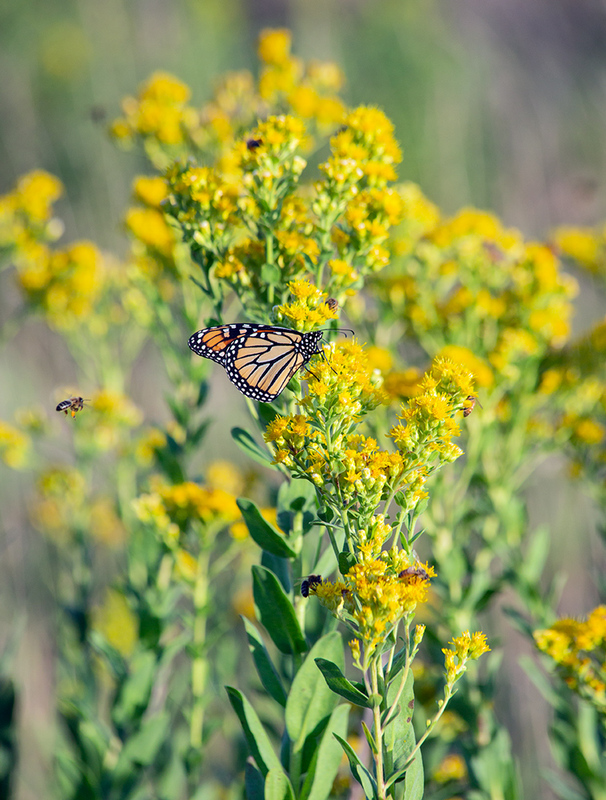 The Friends of the Monarch Trail worked hard to control invasive species and revegetate damaged areas with butterfly-friendly plantings. They maintained a clearly marked and inviting trail to inform the public and they held annual migration celebration parties that attracted hundreds of people, if not more butterflies. It was never clear whether all these efforts would result in a resurgence of the butterfly population. Until now. I met “Butterfly Barb” Agnew—founder and leader of the Friends of the Monarch Trail—out on the trail this weekend. She could hardly contain herself. A beatific smile never left her face as a small band of us wandered slowly from one end to the other. 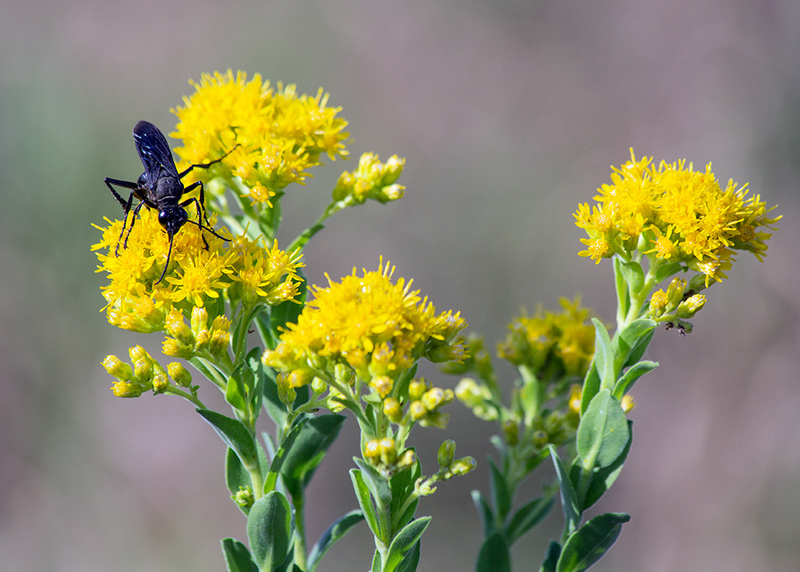 Everywhere we walked we stirred up clouds of the orange and black insects. 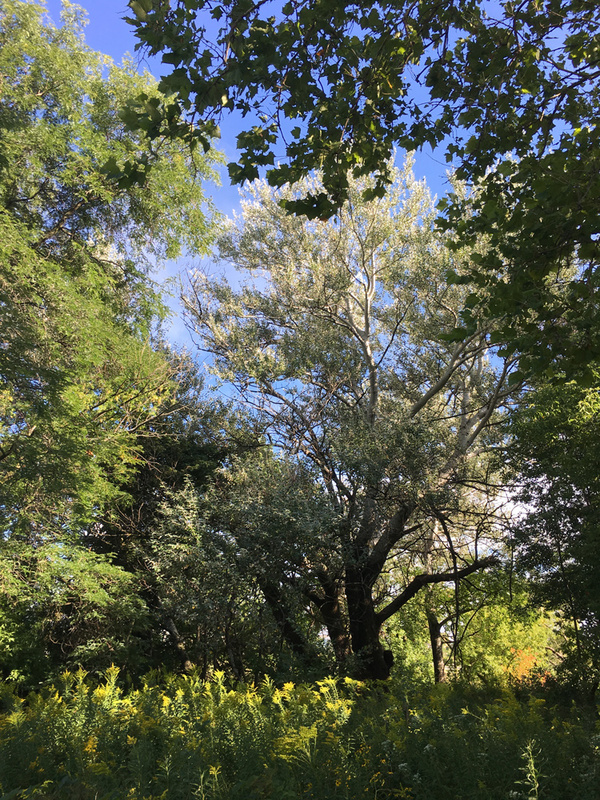 We began on the east, under the enormous sycamore tree that anchors a remnant of the copse that had once been the epicenter of the migration scene. Barb beamed with justifiable pride as our eyes grew accustomed to the light and we gradually began to see in the shadows clusters of butterflies hanging from the branches. Then came the oohs! and aahhs! as if we were seeing fireworks on a very small scale. I had never seen so many butterflies here—or anywhere, in fact. I asked if it was my inexperience or if this was truly a significant increase. Barb told me that she hasn’t seen so many monarchs here this early in the season since 1999. There is no way of knowing, however, when the migration will peak, she added. As you walk around to the west side of the trail the noise of the freeway becomes more apparent—at first. Before long, however, you may find your awareness of it fades as you are transported by the enchantment of the scene surrounding you. Beyond the oak grove the trail opens out into a wide swale in full view of the long row of apartment buildings to one side and the freeway to the other. 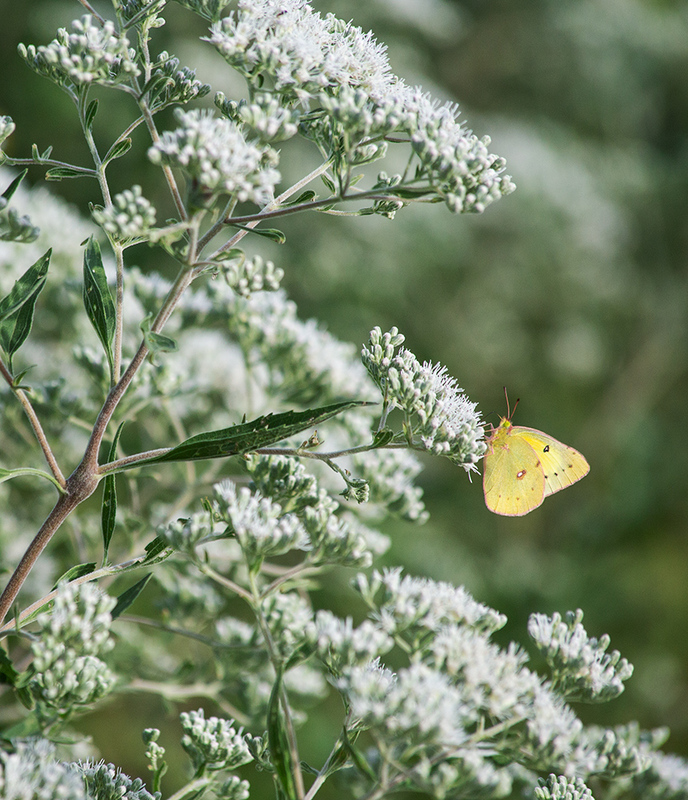 But as you become fixated on these tiny beings, these insects, fluttering up from fields of white boneset and goldenrod the sound of traffic seems to disappear. Monarchs—and other kinds of butterfly, as well as dragonflies, bees, wasps and many other species—waft on the breeze from flower to flower. These photos will, I hope, be suggestive but note that they are completely inadequate to convey the sensation that unfolds all around you. The Monarch Trail is open to the public and is a pleasant short walk at all times. 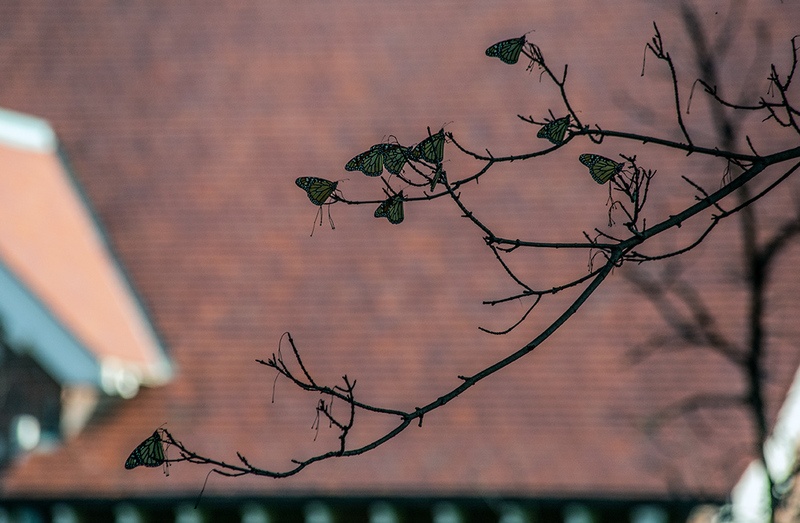 The best time for viewing the monarchs is late in the day when they settle down to roost in the trees for the night. Typically, the peak of the migration has been in mid-September, although there is no guarantee. Weather conditions can have a significant affect. There are a number of public parking spaces in Echelon Apartment complex but watch for reserved spaces. There is plenty of parking along Discovery Parkway, overlooking County Grounds Park. 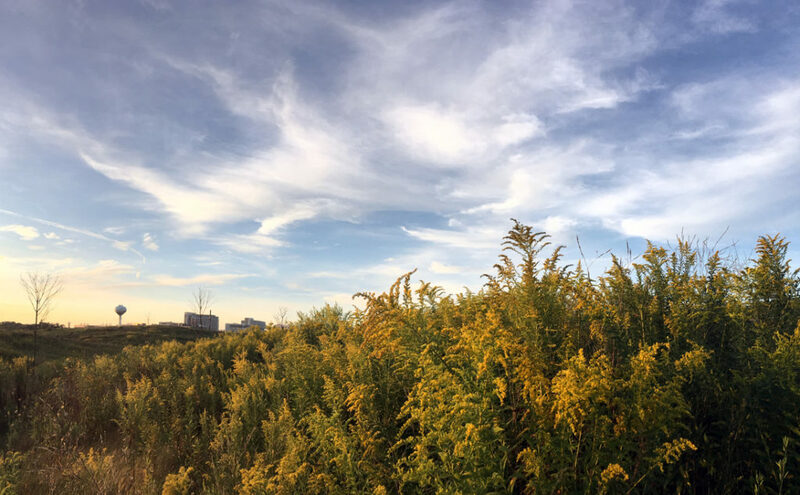 You can see more of Eddee Daniel’s photos of the Monarch Trail and Milwaukee County Grounds on Flickr.